With the holiday season quickly approaching, health tends to fall by the wayside. Whether or not you celebrate, a lot of people go home around this time of year because of school breaks, there is a lot more decadent food to be had, and of course, many students are feeling the pressures of finals week. This time of year can be a lot of fun, but there is a lot of stress associated with it as well, and for thousands of different reasons, peoples’ health takes a back seat. Here are 20 health apps that can help you stay (or get!) on track to physically and mentally healthy you this season, and beyond. There are so many different calorie tracking apps floating around that you could use a different one every week for a year if you felt like it. Lose It is the second most popular, trailing behind MyFitnessPal. The reason that Lose It is so great (and so much better than the others) is that it is incredibly simple to use. The interface is a lot more user-friendly, and the community is more active through forums and challenges. This app makes weight loss simple, and the challenges create accountability and a sense of community. PEAR is a fitness app that is perfect for those of you who don’t know where to start, or you find that you get bored with your routine too often. When you download it, it starts out with a 14-day free trial, and even the full version is affordable. One year of PEAR is cheaper than one month at the gym. The app features eyes-free and hands-free interactive audio coaching. You get to pick which workouts that you want to download, or you can download one of their curated packages. The app features video instructions for moves, and the routines are adaptive to your performance and fitness levels. It even tracks your fat and calories burned in the app, so you don’t need a fitness tracker if you don’t have one (and it links to it if you do). 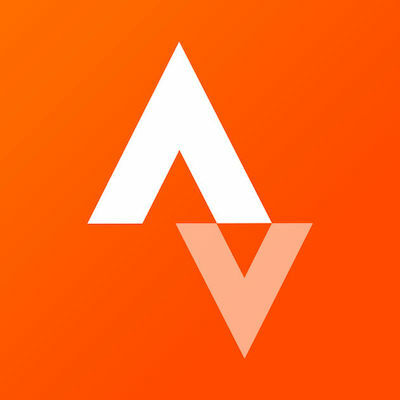 Strava is an app for people who already lead an active lifestyle. It considers itself to be the social network for athletes. It is mostly used by runners and cyclists, but it can track and log almost any kind of exercise a person does. It turns your phone into an activity tracker, and it reports all kinds of valuable metrics at no cost to you. It’s great for people that don’t have a fitness tracker! There is no way to make posts on the app, it simply uploads the workouts that everyone is doing. It is a great way to see the progress of others without all the fluff, and you can use it participate in challenges, see how people in your community are breaking a sweat, and more. After the horrible mishap that the Pact App went through with the app crashing and the failure to respond to its user’s problems while still charging them for their Pacts, a lot of people want to know what apps will pay them to be fit now. Sweatcoin is one answer! How the app works is by using the pedometer that is already part of your android and iOS devices. The app does not sync with any fitness trackers at the moment. 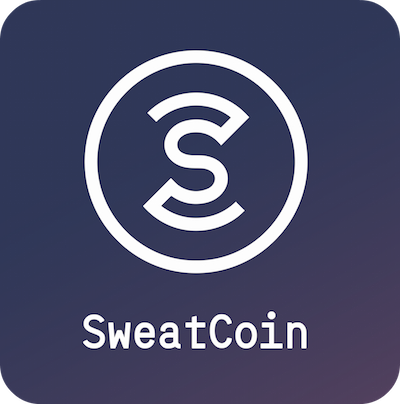 You leave it running in the background, and it will track your outdoor steps, and for every 1,000 steps that you take, you earn about one “SWC.” These coins can be used in their marketplace to buy things like fitness gear (such as shoes, water bottles, etc. ), an Apple Watch, and they are in the process of implementing a system to cash out to Paypal. 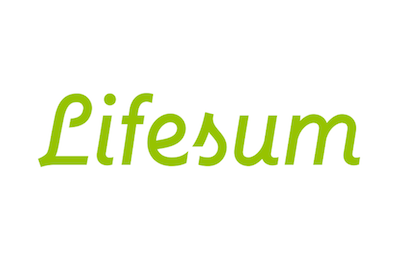 Lifesum is another calorie tracking app, so it is definitely useful for someone that would like to try out one the apps to lose weight that are all over the app stores. However, this one offers a unique twist. 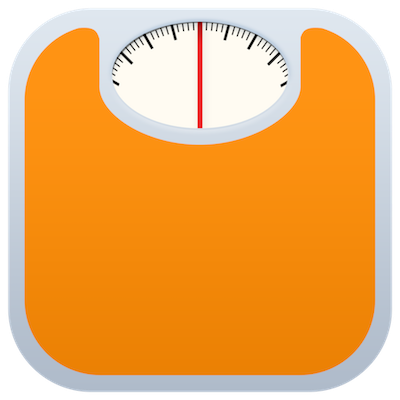 Users input their goals, and the app will help create a custom plan to help you lose, gain, or maintain your weight. It provides feedback on your meals and will rate them things such as “off track,” “balanced,” or “perfect” with other ratings in between as well. The app will also curate recipes for you based on your specific plan and preferences, and curates articles and guides that will help you learn more about your process. 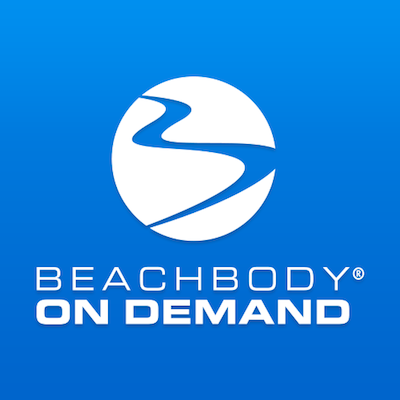 Beachbody On Demand recently debuted, and it is incredible. This is a paid app; however, it is probably the second best value on this list. Beachbody is the mastermind behind the highest rated and most effective at-home workout plans to date. They created P90X, Insanity, 21 Day Fix, and more. With this app, you have two options. If you purchase an all-access membership, you will be able to use any of their at-home products online or on your mobile device at any time for that one set price. You can also use the app to purchase individual programs digitally for streaming, which costs 50% less than buying the DVD programs and you can take it anywhere! C25K is a training app that is geared towards total beginners that are not fit, and do not exercise regularly at all. It stands for “Couch to 5K, ” and over 5 million people have completed the program. It is absolutely free and has been featured by a ton of publications and fitness experts. It is an 8-week program that quite literally gets you off the couch and trains you to run a full 5K. The creators have set up a structured and very laidback plan to follow, and each workout includes a warm-up and a cool down. You can play your music in the background, and the app will coach you through each exercise, and there are breaks built into the already easy program so that you can make progress without feeling overwhelmed. There are also apps to train you for a 10K, half marathon, and a marathon, and other challenge apps to get moving and get fit even if you’re starting from absolute zero. This app is a little different than the rest on the list, but it is still incredibly useful for your health. If you’re someone who is underinsured, or not insured at all, you know just how expensive medications can be. GoodRX is an app you can use to automatically download pharmacy coupons that will drastically lower the cost of your medications. Following your doctor’s instructions is one of the most important things that you can do for your health. People spend a lot of money this time of year, and it is important to make sure that there is room in the budget to cover the cost of your medicine and get that great gift for dad. This app is on the list because it’s really cool, it’s just the truth. This app is designed to work with Bluetooth enabled toothbrushes, but can also use the microphone on your mobile device to work with standard electric toothbrushes as well. It detects things like the position of the toothbrush and the pressure that you use to ensure that you’re taking the best care of your mouth possible. It also has a timer and will log the days that you’ve brushed your teeth automatically. The app lets you earn points to unlock rewards, and will also give you tailored guidance based on their database of dental health resources from dentists all over the world. PumpUp is a social network for sharing your weight loss progress, exercise routines, and more. Social media can be a negative place, or for those of you trying to get fit, it can be really intimidating to see people that are way beyond your level of fitness when looking for some motivation. PumpUp is a very positive community full of people sharing their progress, photos, meals, workouts, and more. You can follow the users and topics that mean the most to you and have a wealth of motivation right at your fingertips. The app also features the ability to create a custom workout plan based on your goals, the equipment available to you, and current skill level. There are also premium features, like a one on one personal trainer through the app. Pillow is so much more than an alarm clock. It integrates with plenty different types of wearable tech and syncs with the Apple Health app. It has a ton of features that were created to help you analyze your sleep and improve it. You can record sounds all night, to see if you’re talking in your sleep and to listen to how restless you are. It tracks your movement and will show you detailed graphs letting you know what stage of sleep you’re in and when. If you have it synced to your smartwatch or fitness tracker with heart rate monitoring capabilities, it will track your heart rate through the night. The alarm feature also uses this information to see when the ideal time to wake you up is. You set a window in which it’s acceptable for you to wake up, and it will wake you up at the best time within that window to make sure that you feel well rested and wake up clear headed and ready to start your day. The internet has beat us over the head with the benefits of meditation for quite some time now, but the bottom line is that… how do real people find time to do this? Simple Habit is your answer if you’re someone who feels like you’re just too busy to start meditating. It was featured on Shark Tank and has been recognized by Business Insider, and Apple. It’s only five minutes a day of meditating, and it will track your progress over time. There are also downloadable meditations from experts, and monks. You can even select a guided meditation based on a specific goal, such as sleeping better or dialing back your anxiety. Happiness is paramount, and thinking positively is an integral part of your health and success in life. But, for many people, happiness doesn’t come naturally or easily. Happify is an app designed to help with that common problem. It is full of games and activities that were created by scientists and utilize an evidence-based approach called positive psychology. The app will ask some questions about you and will provide you with some simple games and little activities to do that help boost your mood, and help you diminish stress. Yoga is exercise, and it can help you to get stronger, lose weight, increase flexibility, and do so much more for your body. But, it does do a lot for your mind. It reduces physical tension, helps decrease stress, improve sleep patterns, and can even increase your attention span. The app is straightforward in the way that it is organized. It has a library of different yoga poses, and you can select them to create a custom yoga session, or you can download and stream an instructor-led class from their library. The app is very intuitive and can help you curate a program based on your intentions if you have no idea where to start. The brain is most certainly a muscle. Cognitive ability is like a mental fitness level, and Lumosity was created by scientists and game designers to help improve your cognitive abilities. There are hundreds of games that can help you improve your attention span, spatial orientation, memory, problem-solving, planning, and so much more. To get started, you take a short interactive test that will gauge your mental fitness, and the app curates a list of games and creates daily workouts for you. Lumosity is the most widely used app of this kind and has 70 million users worldwide. Vent is an amazing app! Social media is meant to be a place where people can express themselves to their friends and others and create a sense of community, but it has become a pretty stressful place. Do you ever feel like getting your thoughts out there on Facebook and decide against it because of what some people might have to say about it? Vent is a mix between social media and a diary app, and it is completely anonymous. Users can select from a variety of emotions and then describe why they’re feeling that way, or say what is on their mind, and other users can react with buttons like ‘You’re not alone” or “Proud of you.” There are also groups that people can participate and post in, to read the vents of people going through the same things. Peak is a brain training app like Lumosity, but it does have some unique features. It is the highest rated brain training app on the market today and is full of games and other activities to help you improve your cognitive function. The app team works alongside researchers from Ivy League universities. What sets this app apart from Lumosity is that it has a virtual coach built in that makes it more interactive, and the workouts are shorter and more intense to save you time and streamline your progress. Habitica is a task management app that turns your life into a video game. From productivity to eating healthier, this app can help you to get it done in a fun way. You customize a character, choose a class, and then you set up the habits or tasks that you want to make sure that you are doing (or not doing). There are daily tasks, general to-dos, and you can even log your progress towards a long-term goal. When you do a ‘negative habit’, or you miss doing one of your daily tasks or responsibilities, your character will take damage. Completing tasks earns points that allow your character to level up. You’re able to join parties and complete in-game quests to earn cool equipment for your character. The gaming aspect combined with positive rewards makes it simple and fun to get things done. 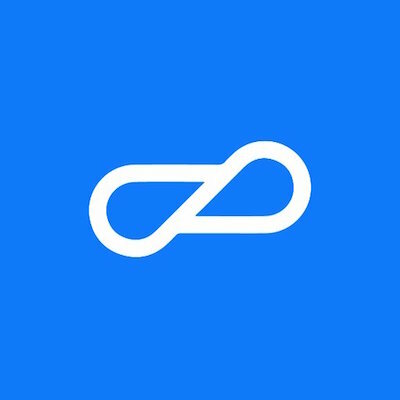 Eidetic is an app that uses spaced repetition to help you remember absolutely anything. There are built-in flashcard types that you can select from, or create your own. You can use this app to help you memorize a phone number, math formula, facts, or even just the vocabulary for your next test in a certain class. You input the information, and Eidetic will notify you when you need to test yourself based on the scientifically proven “spacing effect.” By coming back to information over time, it is proven that the brain can absorb and retain it much better in the long run. ReliefLink is a mental health app for people who tend to struggle in that area. It was created by a team at Emory University, and it has a variety of great features for people who are working on improving their mental health. There is a map feature to help you find mental health resources in your community, and reminders you can set up to take medication and attend appointments. There is a mood tracker that will document trends over time, and there is a feature that will help you to create a safety plan when you feel that you’re in a crisis. There are resources on how to cope with certain emotions and events, and an emergency button to phone a helpline, counselor, or emergency services as necessary.